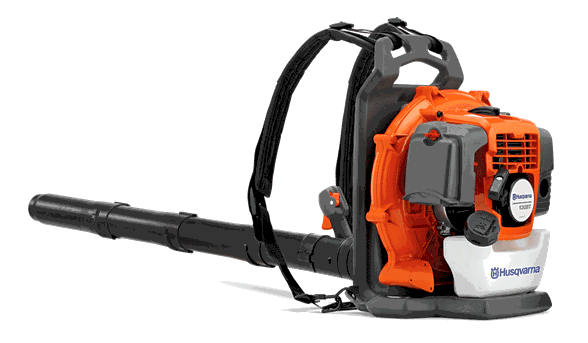 This Husqvarna Backpack Blower is designed with large plot-owners in mind. Its lightweight design and high fuel economy make it easy to use for long periods of time. Features an effective fan design and good power to weight ratio. The X-Torq® 29.5cc engine gives increased power with reduced emissions and fuel consumption, up to 430 CFM at 145 MPH. U.S.A. The Husqvarna 130BT Backpack blower is available at KK Lawn & Sport at any of our four locations. Contact us for more information.